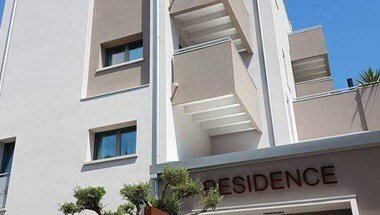 The Ambassador Hotel is located in Porto Santa Margherita, in a quiet area near the center and near the beach. The 'Ambassador Hotel has a swimming pool. Equipped with the most 'modern comfort has a structure built with maximum function' offering a relaxing and nice detail. The friendliness and level of services, compared to rates, making the hotel an Ambassador of the most interesting 3 Stars hotels in Porto Santa Margherita where you can spend unforgettable holidays. 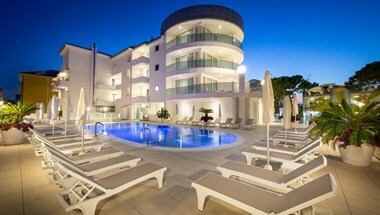 11 luxurios apartments, well equipped, each one with 2 bedroomsfrom (from 2 to 6 persons ) with all the comforts available. 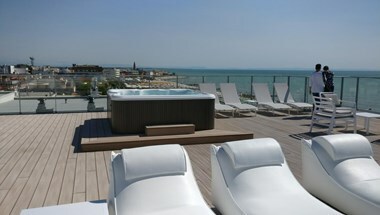 Heated salt-water Pool on the roof top, solarium with a 360° view alla round Caorle. Opened from 01.04 to 05.11. 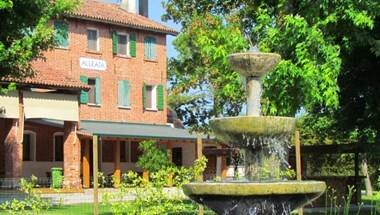 Surrounded by walnut and maple trees, Ca' Alleata Agri Wellness offers accommodation in a historic 19th century building 9 km from Caorle and its beaches. WiFi is free in public areas. The country-style rooms are air conditioned and come with wooden floors, period furniture, and a TV. The private bathroom includes a shower. Guests can enjoy and outdoor pool with thermal water at 37° all year round. A continental breakfast is served daily at the covered porch. Portogruaro is 16 km from the Sportyland, and Eraclea Mare can be reached in 22 minutes by car. Noventa di Piave Designer Outlet is a 30-minute drive away. 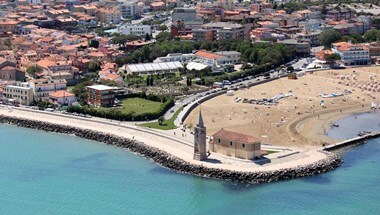 This property is also rated for the best value in Caorle! Guests are getting more for their money when compared to other properties in this city. 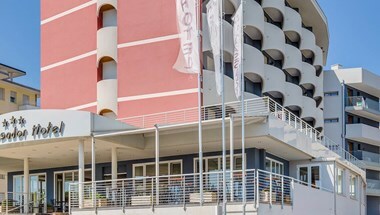 Elite Hotel where guests will find an elegant, refined and relaxed with the opportunity to stay in Caorle even in winter and to enjoy the indoor pool and the wellness area all year.